The new surgery center features a special surgery table imported from Belgium. Oconomowoc, WI – May 20, 2015 – Wisconsin Equine Clinic & Hospital in Oconomowoc, WI completed construction on a new surgery wing, which will bring new and improved services to their Performance Horse Division. The clinic will celebrate the opening of the new wing with a ribbon cutting ceremony on May 29th. The addition to the state of the art equine clinic features a cutting edge surgery center with a unique surgery table imported from Belgium. Wisconsin Equine is now only one of three clinics in the United States to own this exceptional table, which allows the equine patient to be positioned in a comfortable and safe manner for the best surgery outcome. “The adjustability of the table allows the veterinarian to place the horse in the best position to access the surgery site while keeping the animal safe and comfortable, making for quicker surgeries which is ultimately better for the patient,” explained Dr. Douglas Langer, surgeon and partner at the clinic. “Anytime a surgery can be performed more efficiently, the results and recovery are improved and easier on the animal,” added staff surgeon Dr. John Pigott. The surgery center includes new induction and recovery rooms, complete with a unique circular track crane system to move the equine patient safely and efficiently through each step of the surgery. A new open viewing room above the pre and post-op rooms allows for assisted recovery by technicians for improved safety for both horses and surgery assistants. The new surgery wing includes three exam rooms with new rubber flooring and a new imaging center. Digital X-rays and ultrasounds can now be done quickly and efficiently with less stress on the animal. Wisconsin Equine Clinic also has a standing MRI machine, which allows detailed images to be taken with minimal strain on the horse. The surgery department is fully staffed and consists of two dedicated, experienced surgeons, Dr. Douglas Langer and Dr. John Pigott, three surgery technicians of which two are trained in anesthesia and one certified veterinary technician as the receptionist. Additional improvements in the expansion include a bio secure paddock, additional paddocks for breeding and recovery patients, safety fencing surrounding the entire clinic and loading and unloading ramps for increased well being during the arrival and departure of the animals. Guests of surgery patients can wait with comfort in the newly remodeled Nutreena Lounge. 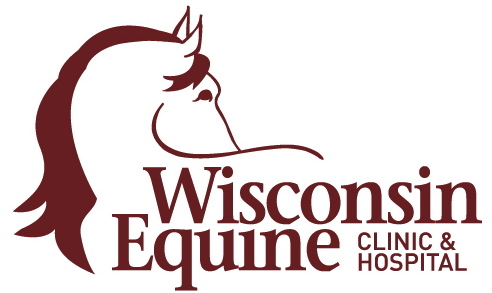 Wisconsin Equine Clinic & Hospital has a renowned medical team under one roof with specialists in general medicine, surgery, reproduction, diagnostic imaging, MRI, dentistry, podiatry, eye care, routine care, critical care and sports medicine. The facility boasts world-class technology and cutting edge therapies along with a complete pharmacy. The clinic gives back to the equine industry by providing seminars to future veterinarians, donating to scholarship funds and sponsoring equine related events. Wisconsin Equine Clinic is a member of the American Association of Equine Practitioners (AAEP), the American College of Veterinary Surgeons (ACVS), the American Association of Equine Veterinary Technicians (AAEVT), and the American College of Technologists (ACT). The clinic is located at 39151 Delafield Road in Oconomowoc. For more information on services available at the clinic, please visit their website at www.wisconsinequineclinic.com.